Marshall of Cambridge was established in 1909 by David Gregory Marshall, in a small lock-up garage in Brunswick Gardens, Cambridge as a chauffeur drive company. This endeavour was an immediate success and prompted the move to larger premises in King Street in 1910. 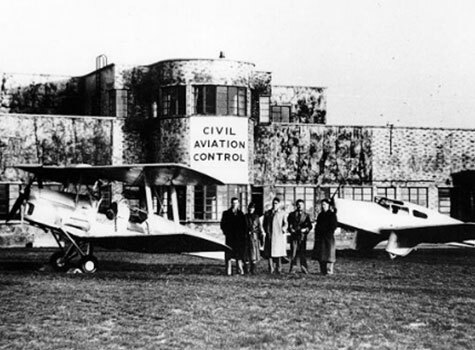 Marshall’s first airfield at Fen Ditton opened on the 9th June 1929, with flight training enquiries following in ernest soon after. 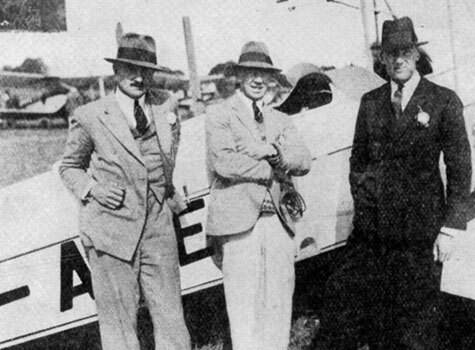 Two former RAF pilots – P P Grey and F Wilkenson, who were flying instructors with de Havillands – started providing instruction at the newly formed Cambridge Aero Club (CAC) 1929 using Arthur Marshall’s own Gipsy Moth. 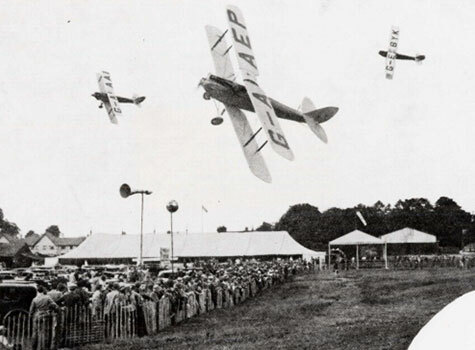 They were later joined by Arthur Marshall himself when he gained his Commercial Pilots Licence in January 1930. During that year Arthur (later Sir Arthur) flew all but a few of the total instruction flights made at his “fledgling” flying school. 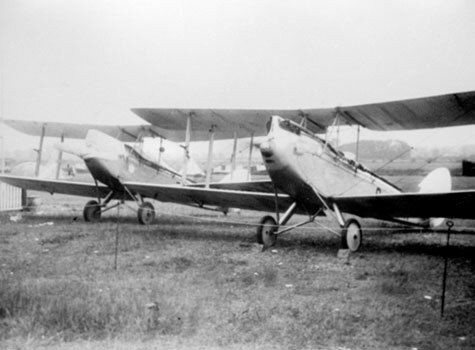 As demand for flying instruction increased, a second Gipsy Moth was purchased from “London Air Taxis Ltd”, and a ground engineer was employed to ensure that both aeroplanes were always available for flight by students. 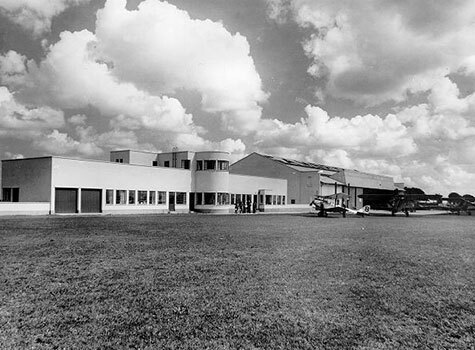 The first three students were Norman de Bruyne, (Junior Bursor at Trinity College and inventor of the Aerolite and Redux synthetic glue) who went on to found Liba Gregy at Duxford, Bill Humble who became Hawker Siddley’s famous Chief Test Pilot during WWII, and whose granddaughter is the well known BBC Broadcaster Kate Humble, and H G Barrington who became the Chief Test Pilot at Luton for the Percival Aircraft Company. During the war, Marshall’s Flying School trained over 22,000 pilots for the RAF, Army and Navy – 1/6 of the total number of pilots trained for the RAF during the war. Postwar, flying training commenced on 1 January 1946, when the wartime flying regulations were relaxed. 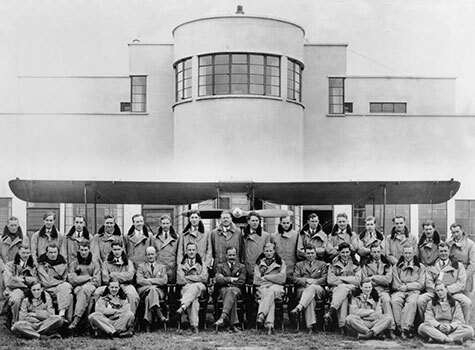 The first student was Lady Bragg, the then Mayor of Cambridge, whose flight in a Tiger Moth at CAC was the first Postwar civilian flight in the UK. Later that year a pupil at the CAC was Ricardia “Dickie” Morrow – who in 1948 became the first female pilot to fly around the world in a flight that began and ended at Cambridge Airport. 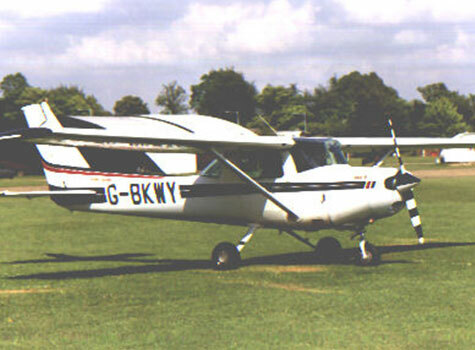 The CAC operated the “Venerable” WWII training aircraft postwar until 1964 when they were replaced by the modern Cessna 150/152 training aircraft. In turn these too were replaced in 2002 by the Cessna 172. The Cambridge Aero Club is one of the longest established flight training schools in the world and has been training pilots for more than ninety years. Today CAC operates a fleet of four Cessna 172 touring and training aircraft, one Cessna 182 and an Extra 200 aerobatic aircraft.